A proponent of sustainability, eco-friendly building and recycling, Moksha McClure is dedicated to making the world a better place. She has effectively utilized alternative construction styles that incorporate re-purposed shipping containers and recycled materials. She has worked successfully with the Kauai Planning Department on several building projects, taking six buildings through the process to CO status. Moksha applies her devotion to excellence on behalf of her real estate clients. She has already found success as the founder of Whiskers Resort, a pet boarding and grooming facility in Lihue that has won Best of Kauai annually since the award was established. Currently, plans are underway to donate this business to the community. In keeping with her commitment to sustainability, Whiskers is powered with solar and biodiesel sources. 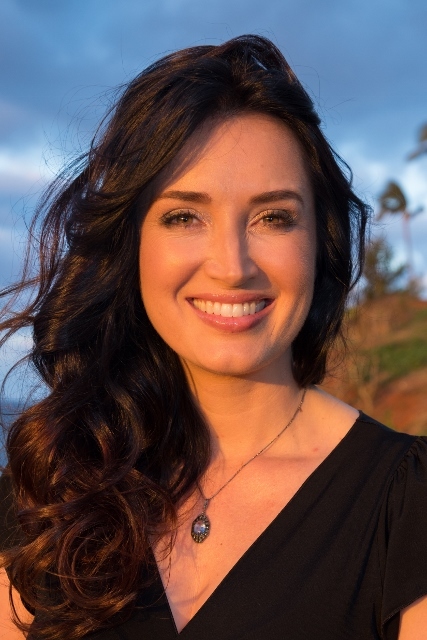 Moksha has volunteer emceed for the island’s largest event, the Lights on Rice Parade, Zonta Club and ASUH-Kauai Community College. She has been a columnist for The Garden Island newspaper. She is also a Rotarian, Phi Theta Kappan, Toastmaster and member of the executive board of Mensa Hawaii. In her free time, she enjoys partner dancing, hiking and swimming. As a successful and savvy realtor, Moksha knows the island and its inventory well. She is a fierce negotiator, expert researcher and is truly dedicated to making a deal close. Moksha is an excellent listing agent and has gotten her listings uber-exposure through the efforts of her in house marketing team. Buyers appreciate her dedication to helping them find their dream homes. For top-notch representation, contact Moksha at (808)652-7387 or m@oasishawaii.com. Click here to read testimonials from her clients.